GNS Wireless offers complete security and surveillance solutions ranging from the network camera to NVR hardware/software. Both wired and wireless video security and surveillance solutions are now in-demand for a variety of institutions ranging from shopping centers to transportation and school systems. It can be a challenge to install network security cameras in areas that are more remote, expensive, or physically impossible to reach with traditional cabling. GNS Wireless offers wireless video links, to allow for communication to remote IP and analog cameras. The following security and surveillance solution will allow you to connect any IP camera to a network that is up to 1/4 mile away. The GNS-1161N operates similar to having an invisible Ethernet cable connected between your network and remote IP camera. For more than 1 camera at the remote site, simply install a switch for access to multiple cameras. If the cameras are at multiple remote locations, you can use more than 1 wireless video link. For more complex situations involving network security cameras, please contact us directly. ACTi Corporation is the technology leader in IP surveillance, focusing on multiple security surveillance market segments. ACTi's extensive technology innovations in the development of JPEG/MPEG-4/H. 264 has empowered ACTi's worldwide partners and customers to enjoy best quality video performances from VGA up to Megapixel resolution at minimum bandwidth. High quality, high resolution network IP cameras powered by AXIS. Axis is the market leader in network video and a driving force behind the shift from analog to digital video surveillance, which paves the way for a more secure, smarter and safer world. Axis offers IP network camera video solutions for professional installations featuring products and solutions that are based on innovative and open technical platforms. Axis wireless network IP Camera solutions. Bullet IP cameras will provide directional coverage ranging from 10 to 60 degrees. IP Dome cameras can either have a PTZ, or stationary, fixed lens for directional coverage. Most Axis security cameras will include the power supply, and POE is additional. Using POE with IP cameras makes installations quick and easy. Contact us for more information on network security cameras from Axis. Mounting Accessories - Axis pendant mounts, wall mounts, and corner mounts are made for axis cameras and axis camera enclosures. Additional weatherproof enclosures can be added to protect power supplies, and ip camera recording equpment. Axis video encoders can turn your CCTV analog security system into a digital security system. Video management software will meet your IP surveillance, and monitoring needs. Perfect for medium sized security monitoring. Fixed IP Cameras - Get better, brighter security imaging in low light or completely dark locations when using a IP camera with IR technology. Great for securing alleys and parking structures, or any application where low light, or no light conditions exist. Complete network security camera systems are available from Axis Communications, or contact us for assistance in choosing the correct camera for your application. PTZ IP Camera System - Axis sells PTZ ip cameras and video servers for large scale security systems. Axis Communications also sells surveillance kits for M10 series, M11 series and M32 series are perfect for small to medium scale security, and include software. IP Cameras are great for remote monitoring, and security. Add a wireless network security camera to your existing setup by connecting the IP camera to an ethernet client bridge. Contact us for more information. Superior image quality transmission for demanding video surveillance applications. Radwin provides a point to point, or point to multipoint solution for high definition (HD) cameras. In situations where superior image quality is required, robust transmission in dense urban areas, non-line-of-sight applications, or when guaranteed bandwidth is required, choose Radwin for your security camera system. Up to 200Mbps throughput, with up to 10 mile point to point range. IP cameras can be transmitted over the wireless link, and network security cameras will have a clear image. H.264 IP cameras are available for point to point wireless applications. 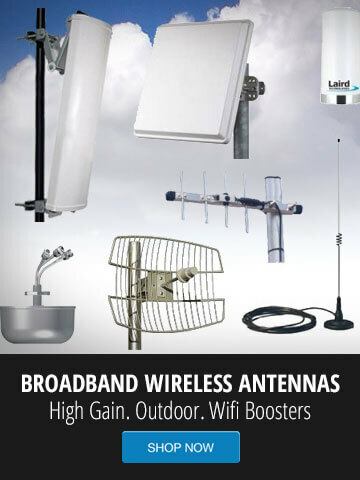 Contact GNS Wireless for more information at 1-877-209-5152. Axis IP network cameras can be used for both security and surveillance solutions as well as live streaming purposes. Their IP cameras are cost effective, reliable and easy to use. We sell all network cameras and IP security accessories currently offered by Axis Communications. Axis offers a variety of professional security and h.264 network cameras, pan tilt zoom camera and fixed cameras for indoor and outdoor monitoring. Did you know you can stream your Axis network camera from your iPhone or other smartphone? IP Video Surveillance on the go is a valuable asset in this digital age. Learn more about the Axis iPhone app or for more details give us a call at 1-877-209-5152 for Axis camera advice.